Sunil Krishnan from EPGP batch 2015-16 has shared his IIMB EPGP interview experience from last year. Sunil holds a B.E. in Computer Science and Engineering and has over nine years of experience in IT project management. A. Again related to my work and I was able to answer it with some difficulty as I had not prepared for it. But I think I at least got the high-level concepts correct. NO QUESTIONS ON WHY MBA!!! These 4 questions and answers took about 30 minutes and if time permits you can also ask some questions in the end. Questions were mostly related to my work and thankfully not very abstract. I hope the above write up helps. Good luck for your interview!! We are conducting info sessions for prospective students on 24th, 26th and 30th May in Bangalore, Hyderabad and Mumbai respectively. 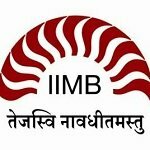 Hello ,how important are the info-sessions conducted by the IIMs ? From an applicant perspective ,do they provide a value addition ? Can we get some tips on writing SOPs. Sample essays would be very helpful.Does SOP s have a defined structure? For those of you who have plans to get a job in the US after b-school, you should definitely check out pymetrics. pymetrics is a neuroscience game-based platform that reveals your traits and matches you with companies and jobs you're compatible with. Start with your formal introduction and your educational and professional background. Highlight your skills, experiences and professional and personal achievements and what have you learnt from them. Write about your short term and long term goals and what are the skills required to achieve these goals. Explain what EPGP would offer you and how would it help you bridge the gap between your current skill set and the skills you need to achieve your goals. You may also write about how this MBA would help you in personal sphere of life. Info sessions are important as they provide you an opportunity to interact with alumni and professors. You will get insights into what you can learn from the program, how it helped the alums and what can you expect to gain from it. You will also have an opportunity to get answers to your queries and interact with fellow applicants. The SoP basically needs to tell your story in a structured, logical manner. Although there are far too many naunces that enable the logic and the flow, I am giving you the key pointers that go into making a complete answer. 1. Give a summary of your work experience which includes the pivotal points - like taking up specific responsibilities; motivation/ influence to do so. Let the reader get a sense of how you steered you career in a particular direction. 2. What skills/ strengths have you built? Mention 1-2 specific achievements to support your answer. 3. Going forward what do you want to do? What will you do in the short term, i.e. immediately after your MBA? Why (very important)? What skill have you built in the past that will help you transition to this career goal? 4. What do you intend doing in the mid term- that is, 5-8 years after your MBA? Talk about the responsibilities that you will handle. 5. What do you intend doing in the long term? That is roughly 8-10 years later? 6. What skills/ and knowledge are you currently lacking and why is an EPGP the best way to get them? Why is now the best time to do this? 7. How will the IIMB EPGP help you in achieve your goals? Mention 3-5 specific reasons- these could be related to the academics, career opportunities or extra curricular activities (such as being part of Clubs and benefitting from them). We always insist that you talk to a few students/ alums and write a knowledgeable answer here rather than randomly picking out a few points from the school brochure. Should SOP not exceed from the limit they have given in the online application?? It is too less ! Please adhere to the word limit that is mentioned in the application guidelines. Anything additional will not be considered by the admission committee. All of us in the current batch were able to highlight our achievements, goals and motivation for MBA within the required word limit; hence, i am sure that if you write judicially and spend enough time to make the SOP concise you will be able to manage quite well. Wishing you the best for your application. Just to add to that - This is the reason you should iterate your SoP several times - the 1000 word essays of the old days had more loosely worded language, because people did not have to work on tightening their scripts. Say less, but with impact. "My experience is predominantly in B2B (Business to Business) and B2C (Business to Customer) sales for the high-end segment of the real estate industry. Attending the EPGP course at IIM, Bangalore has been one of the best decisions. The sheer depth of experience and wealth of knowledge that one is exposed to, in the form of the faculty and peers is truly unmatched. The lucid mix of academic classroom learning, case-based study approach, insightful projects and hearty peer interaction is exemplary. The EPGP classroom is nothing short of a sea of experience where there is as much to learn outside the classroom, as much as there is inside. The course is an excellent launchpad for managers looking for that shift which differentiates them from others and prepares them to be business leaders of the future." Understand that GMAT combined with SOPs and Recommendations will matter but still based on current student mix, how bright are my chances for being shortlisted for an interview? Hi, considering the educational qualification, experience and GMAT your profile looks competitive. I would advice you to apply. Since, admission decisions depend on profiles of other applicants, it is not possible to assess chances of any individual. Admission to the event is free but Registration is mandatory. Hi - Can you suggest who can be referred for recommendation letter, peer - immediate manager - end client? Any thoughts will be helpful. Any of the above can provide a referral, but my advice would be to get it from a person senior to you (manager or client) who has good insight into your experience/achievements and can provide a detailed assessment of your capabilities. Also, note that a detailed referral from your immediate manager/client would be more effective than a generic one from a very senior person whom you haven't directly worked with.